2) Caprylic Acid – The Power of Coconut Oil!! Many studies and researches have been performed on caprylic acid found in coconut oil. Studies show that it has antibacterial and anti-microbial properties which kill the bacteria and microbes causing damages to the hair and scalp. It kills the microbes which makes hall fall or prevents from natural growth or increasing dandruff condition on the scalp. Lauric acid is considered a “healthier” saturated fat because it is a medium-chain triglyceride. As an MCT, lauric acid is more easily absorbed by the body and has a host of other associated health, skin and hair benefits. The hair protein easily binds with Lauric acid from this oil that gradually leads to the strengthening of hair strands and stops the breakage of hair due to thinning. A research was performed and the aim was to cover different treatments, and the effect of these treatments on various hair types using the coconut oil, sunflower oil, and mineral oil, the number of experiments to be conducted was a very high number and a technique termed as the Taguchi Design of Experimentation was used. The findings clearly indicate the strong impact that coconut oil application has to hair as compared to the application of both sunflower and mineral oils. Among three oils, coconut oil was the only oil found to reduce the protein loss remarkably for both undamaged and damaged hair when used as a pre-wash and post-wash grooming product. Both sunflower and mineral oils do not help at all in reducing the protein loss from hair. 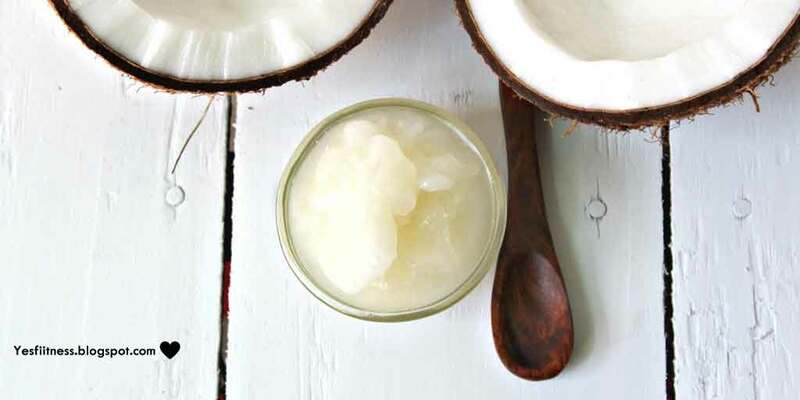 Coconut oil, being a triglyceride of lauric acid (principal fatty acid), has a high affinity for hair proteins and, because of its low molecular weight and straight linear chain, is able to penetrate inside the hair shaft. We always think that too much of anything is good. If a little bit of something is doing good for us, it doesn’t mean that too much will do better. In the case of coconut oil, a small amount can be sufficient for hairs. Applying too much of coconut oil, there is a possibility that it can clog the hair follicle which is a definitely not good for healthy hair. The strength of coconut oil increases when it is mixed with other ingredients like essential oils, castor oil, olive oil, argan oil, mustard oil and more. The different compounds of different ingredients mix each other and the power of ingredients increase and they give extra benefits to our hairs. Like, honey is also good for hair when mixed with coconut oil because it gives moisture to the hair and gives extra strength to coconut oil when applied in combined form. Take a large bowl containing hot water. Now take coconut oil in a small bowl and place it the large bowl containing hot water. This process will warm the coconut oil. Now, mix rosemary essential in it and apply the warmed oil to the scalp and hair and give a gentle massage for 5-10 minutes. You can keep the hair oil as an overnight hair mask or you can wash it off after 1 hour with a mild herbal shampoo. Take eggs and mix coconut oil well. Now, add honey to the mixture and apply to the scalp and hair. Keep it for at least 30-40 minutes and wash it off with organic or herbal shampoo. You can repeat it for at least once in a week. Take coconut oil, shea butter, and honey in a bowl. Now, melt the shea butter and coconut oil on low flame and mix honey when it cools down. Make partitions of your hair and apply the hair conditioner from root to tip of the hair and on the scalp too. Keep it for 1 hour and rinse it off with the mild shampoo. Repeat at least once in a week. The coconut oil and anise mixture work by disrupting the wax layer that coats the cuticle of the louse exoskeleton. This exoskeleton protects that lice against the loss of water, meaning that the natural solution used in this study works by causing the lice to become severely dehydrated, leading to their death. Water absorption causes the hair shaft swelling and it can be seen microscopically as “weathering” of the hair shaft and contribute to tangling, and frizzing. Weathering is the progressive degeneration from the root to the tip of the hair. Normal weathering is due to daily grooming practices. Take a hair spray container and add one cup distilled water and mix 2-3 tablespoons of coconut oil, 2 tablespoons of your favourite hair conditioner and 20 drops of lavender essential oil. Seal the container and shake it well before application. Spray this solution on your tangled hair very well. Start from the tip of the hairs. Make several partitions of your hair and firstly detangle your hair from a tip by combing it slowly with a wide tooth comb and slowly move to the upper direction of your hair and finish that section of your hair before going to the next section. Take 1 tablespoon of coconut oil and mix 5 drops of tea tree oil and apply to the scalp daily. Coconut oil and tea tree oil have the anti-microbial property which kills the microbes causing and spreading acne. Coconut oil exfoliates the skin and tea tree oil unclogs the hair pores. Tea tree oil is also very effective in hair growth and dandruff. Coconut oil is a very good styling product. Different hair styling tool like hair dryer, curler, straightener make hair rough and dry. Use coconut oil for hair styling, this will lock the moisture from hair and make it smooth and silky. 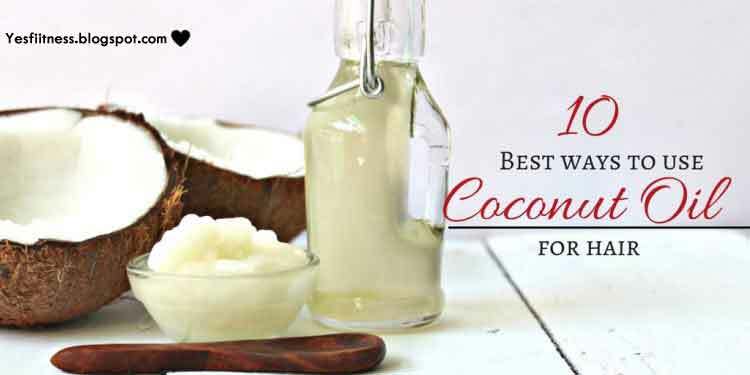 Some people have naturally thick curly and frizzy hair, for them, coconut oil is best to use on daily purpose and making those curly locks soft and manageable. Start with small quantity and apply coconut oil from root to tip and use your hair styling tool to do your hairstyle. Do avoid putting more oil on your hair, this can make hair sticky. Mix ¼ cup apple cider vinegar, 3 tablespoons melted coconut oil, 7 drops rosemary oil and ½ cup distilled water in a spray bottle and mix well. Spray this condition from middle to tip of your hair and let it dry for some minute. Rosemary oil will help you with hair growth and apple cider vinegar will make your hair shiny and smooth. Coconut is very effective as a leave in conditioner. It helps you to manage your hair for a whole day and makes them soft and shiny. The antioxidant properties of virgin coconut oil produced through chilling and fermentation were investigated and compared with refined, bleached and deodorized coconut oil. Virgin coconut oil showed better antioxidant capacity than refined, bleached and deodorized coconut oil.